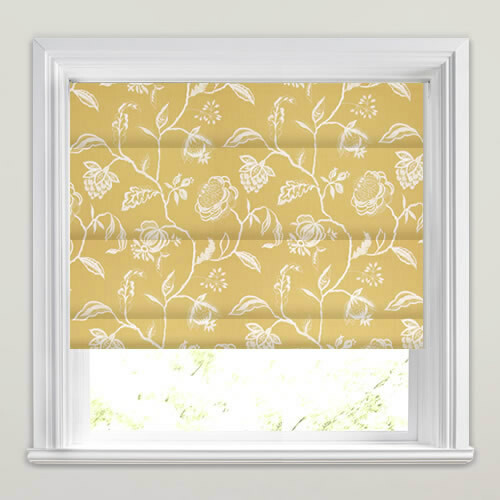 Shimmering silver and saffron golden yellow roman blinds that are brought to life by the most exquisite and delicate floral Jacobean trail embroidery. 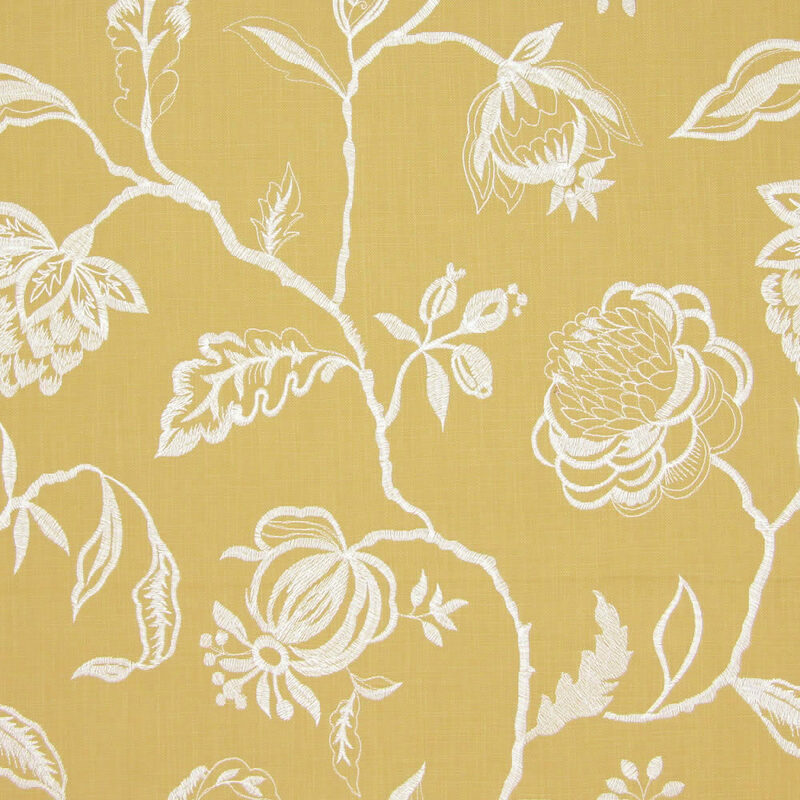 This luxurious fabric really is the perfect way to bring a touch of nature to your home. Very straightforward ordering process. Updated throughout. 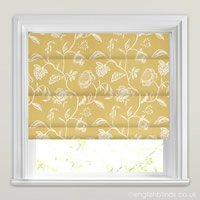 The blind is really lovely, looks good and I am very pleased. I would definitely recommend English Blinds to my friends. Very pleased with the designs and fittings, all excellent quality, in fact just measuring up for a fourth blind now. Packaging was excellent. The whole experience was excellent. Samples arrived very quickly and were large enough to make a good judgement. 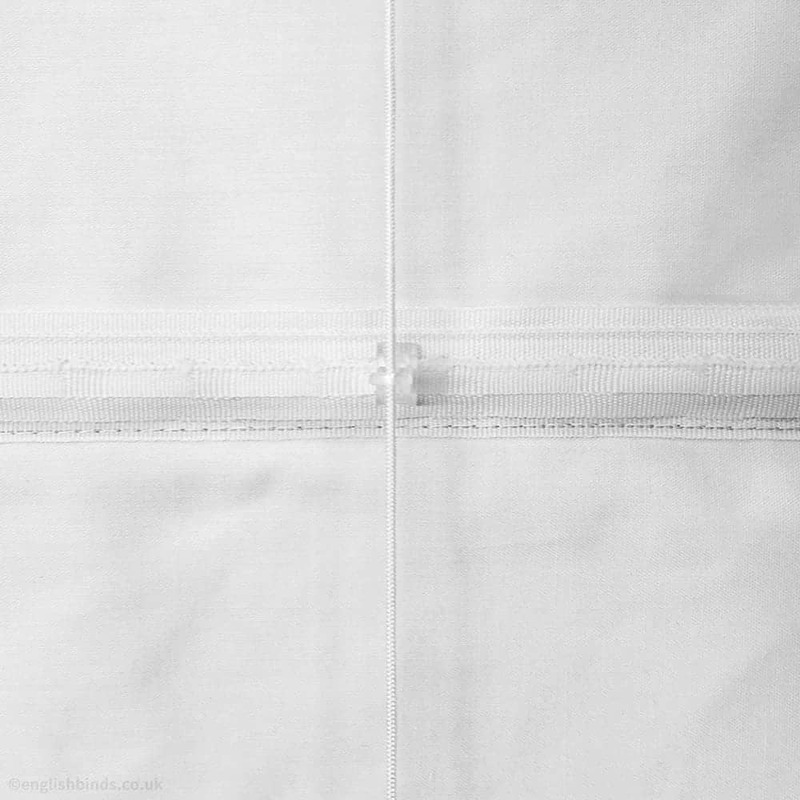 Once I had decided which fabric to use the ordering was quick and easy. The finished roller blinds arrived after just 5 days and are exactly as planned. My husband found them easy to fit. 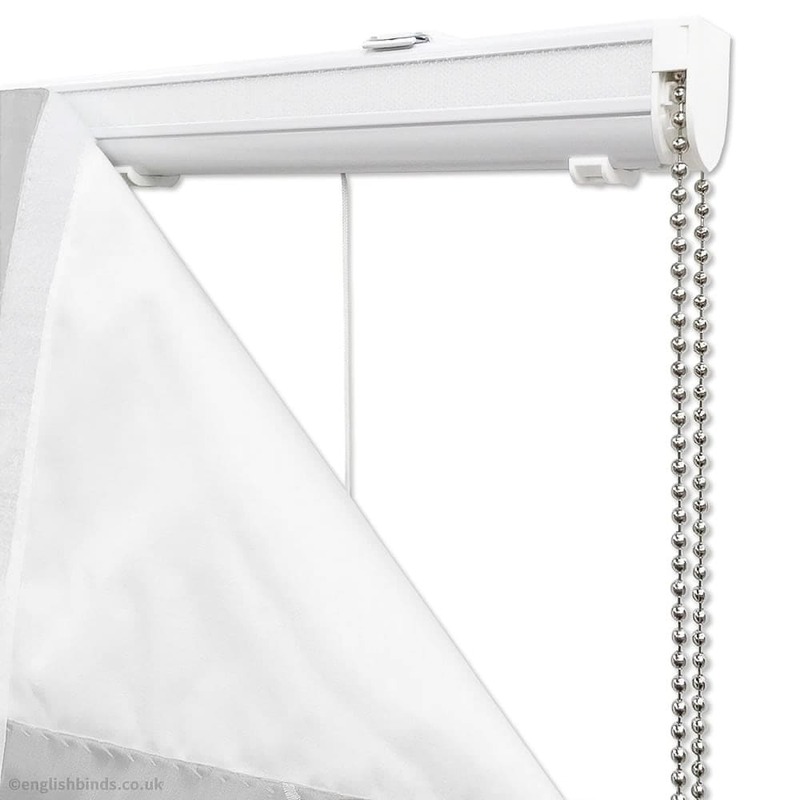 Would definitely recommend English Blinds to all my friends.